It's the little touches, when you're celebrating your little one, that count. 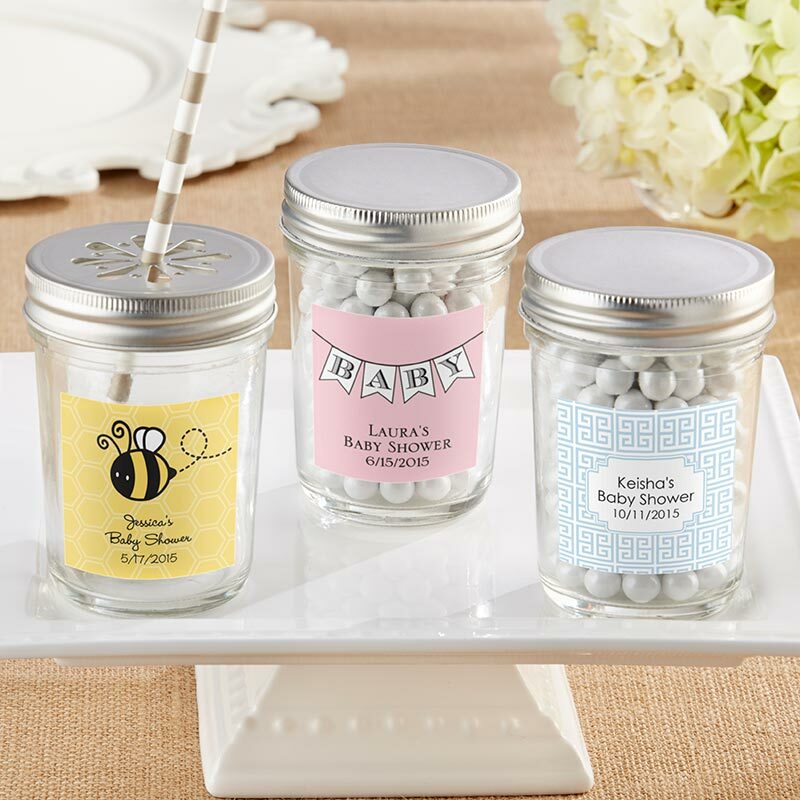 Like personalizing these vintage-chic Kate Aspen mason jars to become a treasured reminder of baby. Choose the solid lid for filling with goodies. Or pick the straw-friendly daisy style lid.